Experience a day of relaxation and activity at Padang Padang Beach, a stretch of coastline where the sand is white, the sea is blue, and the whole scene is neatly framed by rock formations. Head out into the waters to soak up one of the most famous and popular surf spots in the region, or watch from the comfort of one of the beachside restaurants and bars. Well-known in the tourist and traveler scene, the beach can become very busy at certain times of the year, but the range of activities available and the scenery still make it an attractive choice. Add Padang Padang Beach and other attractions to your Pecatu trip itinerary using our Pecatu vacation planner . So this beach is lovely. A small Chamber with a surprise ending atmosphere complete. Worth coming to Bali after such views. It's worth the beach visit and move on. This is a very easily accessible beach. It takes a few 30 stairs to reach the actual beach. The entrance fee is Rp10,000 per head. The entrance has lots of monkeys by the way! So be sure to put your things in a bag first. There are clean toilets outside, so you can change there. The beach itself is very pretty. Clean, white sand and blue waters. There are many large rocks and lots of corals on the shores. The place can get crowded with tourists at times - since it definitely is no hidden beach, but it is not overly popular yet. There were lots of surfers here, and you can also rent surf boards or take surfing lessons here. A nice beach to spend some time at, and it's not too difficult to get there either. Truly magical sea caves to explore, secluded cliffs to climb, sandbars filled with beautiful seashells to collect, and pristine blue waters to swim in. There aren’t too many people here because it’s in a farther location. Only downside is the wild monkeys on the beach itself. Not a good place to sunbathe but if you want to swim this is perfect. Best beach on the island. Very small and easily accessible. Its more like an open pool than a beach. The water currents doesn't come to the shore. No chance of drowning and very kid friendly beach. Highly recommended for people who doesn't know swimming. Try to negotiate with the lady who serves the beach umbrella, you may get it for half the price. This beach is best for those who want to learn surfing because lot of people are surfing. We have to go to beach down by staircases that's ok but after going back it's hard to climb may be who has problem with staircases better to avoid. Good scenery and blue water. The beach area is slightly smaller than other beaches here in Bali, so it definitely gets crowded very easily. Just be warned, you have to go through staircases as well to get down to the beach and when you go back up to the roads. This might not be the perfect beach for those who have trouble with staircases. I personally do not enjoy spending time here very much as my initial plan was only to chill by the beach and relax, however the waves here sure is amazing and there are many surfers who enjoy their time here. So it really depends on what you came for. Every day, we help thousands of travelers plan great vacations. Here are some tips on how to use your Listing Page to attract more travelers to your business - Padang Padang Beach. Promote your permanent link - https://www.inspirock.com/indonesia/pecatu/padang-padang-beach-a584618021 - on your website, your blog, and social media. When a traveler builds a plan from this page, the itinerary automatically includes Padang Padang Beach. This is a great way for travelers looking for a great vacation in your city or country to also experience Padang Padang Beach. Promoting your link also lets your audience know that you are featured on a rapidly growing travel site. In addition, the more this page is used, the more we will promote Padang Padang Beach to other Inspirock users. 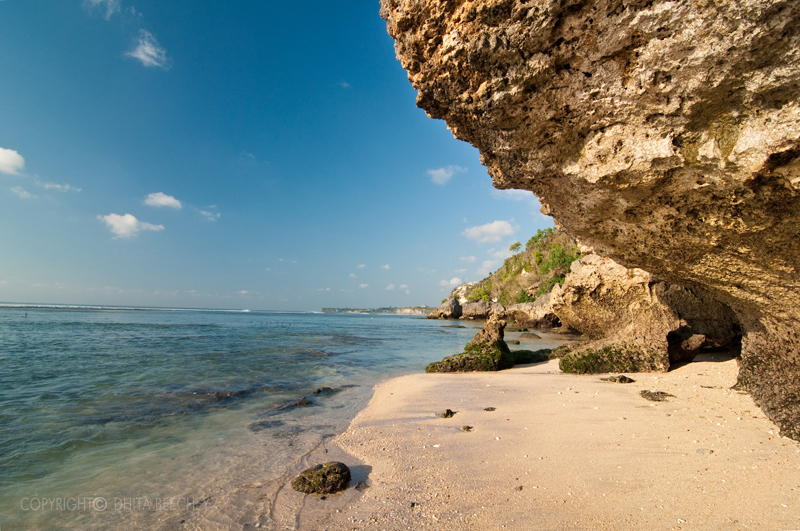 For best results, use the customized Trip Planning Widget for Padang Padang Beach on your website. It has all the advantages mentioned above, plus users to your site can conveniently access it directly on your site. Visitors to your site will appreciate you offering them help with planning their vacation. Setting this up takes just a few minutes - Click here for instructions.